Lingerie & Sleepwear Sleepwear Pajamas - ShopSafe. 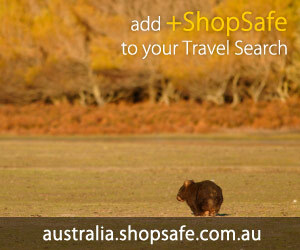 There are 129 products in the Roamans > Lingerie & Sleepwear Sleepwear Pajamas ShopSafe Category. Roamans Plus Size Short Sleeve Tagless Sleep Tee (blue Jay, 1x) Description: Jersey knit. Machine wash.Imported. By Dreams & Co.Scoop neckDyed-to-match satin trim and rosetteHem slitsAbout 27`Plus size sleepwear, sleep tees - short sleeve tagless sleep tee, sizes M to 6X etc. Buy this Roamans Plus Size Short Sleeve Tagless Sleep Tee (blue Jay, 1x) today from USD$8.98 on the Roamans website. Roamans Plus Size Dreams & Co. Woven Cotton Sleep Shorts (honey Peach Plaid, M) Description: Woven Cotton. Machine wash. Imported.Comfy cotton sleep shorts, they`re tag-free for extra comfort! Roomy legsEasy elastic waist with satin drawstring Straight bottom hem5" inseam Women`s plus size sleepwear - dreams & co. woven cotton sleep short in sizes M to 6X etc. Buy this Roamans Plus Size Dreams & Co. Woven Cotton Sleep Shorts (honey Peach Plaid, M) today from USD$11.98 on the Roamans website. Roamans Plus Size Dreams & Co. Woven Cotton Sleep Shorts (honey Peach Plaid, 1x) Description: Woven Cotton. Machine wash. Imported.Comfy cotton sleep shorts, they`re tag-free for extra comfort! Roomy legsEasy elastic waist with satin drawstring Straight bottom hem5" inseam Women`s plus size sleepwear - dreams & co. woven cotton sleep short in sizes M to 6X etc. Buy this Roamans Plus Size Dreams & Co. Woven Cotton Sleep Shorts (honey Peach Plaid, 1x) today from USD$11.98 on the Roamans website. Roamans Plus Size Short Sleeve Tagless Sleep Tee (sweet Berry, L) Description: Jersey knit. Machine wash.Imported. By Dreams & Co.Scoop neckDyed-to-match satin trim and rosetteHem slitsAbout 27`Plus size sleepwear, sleep tees - short sleeve tagless sleep tee, sizes M to 6X etc. Buy this Roamans Plus Size Short Sleeve Tagless Sleep Tee (sweet Berry, L) today from USD$12.98 on the Roamans website. Roamans Plus Size Dreams & Co. Woven Cotton Sleep Shorts (blue Jay Pink Plaid, M) Description: Woven Cotton. Machine wash. Imported.Comfy cotton sleep shorts, they`re tag-free for extra comfort! Roomy legsEasy elastic waist with satin drawstring Straight bottom hem5" inseam Women`s plus size sleepwear - dreams & co. woven cotton sleep short in sizes M to 6X etc. Buy this Roamans Plus Size Dreams & Co. Woven Cotton Sleep Shorts (blue Jay Pink Plaid, M) today from USD$12.98 on the Roamans website. Roamans Plus Size Short Sleeve Tagless Sleep Tee (sweet Berry, M) Description: Jersey knit. Machine wash.Imported. By Dreams & Co.Scoop neckDyed-to-match satin trim and rosetteHem slitsAbout 27`Plus size sleepwear, sleep tees - short sleeve tagless sleep tee, sizes M to 6X etc. Buy this Roamans Plus Size Short Sleeve Tagless Sleep Tee (sweet Berry, M) today from USD$12.98 on the Roamans website. Roamans Plus Size Short Sleeve Tagless Sleep Tee (banana, 3x) Description: Jersey knit. Machine wash.Imported. By Dreams & Co.Scoop neckDyed-to-match satin trim and rosetteHem slitsAbout 27`Plus size sleepwear, sleep tees - short sleeve tagless sleep tee, sizes M to 6X etc. Buy this Roamans Plus Size Short Sleeve Tagless Sleep Tee (banana, 3x) today from USD$13.98 on the Roamans website. Roamans Plus Size Short Sleeve Tagless Sleep Tee (blue Jay, 4x) Description: Jersey knit. Machine wash.Imported. By Dreams & Co.Scoop neckDyed-to-match satin trim and rosetteHem slitsAbout 27`Plus size sleepwear, sleep tees - short sleeve tagless sleep tee, sizes M to 6X etc. Buy this Roamans Plus Size Short Sleeve Tagless Sleep Tee (blue Jay, 4x) today from USD$13.98 on the Roamans website. Roamans Plus Size Short Sleeve Tagless Sleep Tee (banana, 4x) Description: Jersey knit. Machine wash.Imported. By Dreams & Co.Scoop neckDyed-to-match satin trim and rosetteHem slitsAbout 27`Plus size sleepwear, sleep tees - short sleeve tagless sleep tee, sizes M to 6X etc. Buy this Roamans Plus Size Short Sleeve Tagless Sleep Tee (banana, 4x) today from USD$13.98 on the Roamans website. Roamans Plus Size Dreams & Co. Woven Cotton Sleep Capris (aqua Purple Plaid, L) Description: 100% Woven Cotton. Machine wash. Imported.Capri sleep pants are short, sassy and easy to feel comfortable in while sleeping or lounging. Pull-on elastic-back waist with dyed-to-match satin drawstringStraight bottom hem20" inseam Plus size sleepwear, pajamas - dreams & co. etc. Buy this Roamans Plus Size Dreams & Co. Woven Cotton Sleep Capris (aqua Purple Plaid, L) today from USD$14.98 on the Roamans website. Roamans Plus Size Knit Tank For Sleeping By Dreams & Co. (blue Jay, L) Description: Simply beautiful, never rides up while you`re sleeping. Washable cotton knit jersey. Imported. By Dreams & CoScoop neck with satin trim Rosette at neck Straight bottom Tagfree for comfort 27` long Women`s plus size sleepwear - knit tank by dreams and co., sizes M(14W-16W), L(18W-20W), 1X(22W-24W etc. Buy this Roamans Plus Size Knit Tank For Sleeping By Dreams & Co. (blue Jay, L) today from USD$14.98 on the Roamans website. Roamans Plus Size Dreams & Co. Woven Cotton Sleep Capris (multi Stripe, 1x) Description: 100% Woven Cotton. Machine wash. Imported.Capri sleep pants are short, sassy and easy to feel comfortable in while sleeping or lounging. Pull-on elastic-back waist with dyed-to-match satin drawstringStraight bottom hem20" inseam Plus size sleepwear, pajamas - dreams & co. etc. Buy this Roamans Plus Size Dreams & Co. Woven Cotton Sleep Capris (multi Stripe, 1x) today from USD$14.98 on the Roamans website.